Shopping 4.0 is a current topic with a lot of development potential. Terms like Virtual or Augmented Reality are becoming more and more common. The blurring of boundaries between the real and virtual worlds is inspiring customers worldwide. 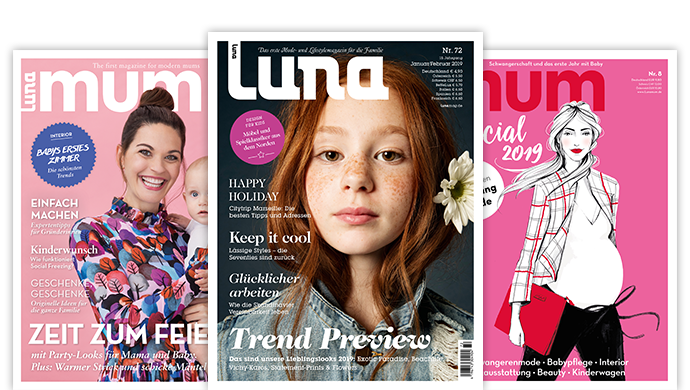 The Danish company Lego gives Luna Journal an insight into the use of new technologies in the toy industry. Virtual Reality refers to a reality that consists exclusively of virtual objects. Augmented reality links the virtual world with the real world. Thus, for example, virtual dressing rooms including fitting are possible. In a recent study published by Artec 3D on the use of augmented reality and virtual reality in retail, around 69 percent of US study participants stated that they believe that augmented reality (AR) and virtual reality (VR) will establish themselves in online shopping within the next five years. Consumers find AR and VR useful. Almost 50 percent of respondents would find the interactive 3D model of a product more helpful than images when shopping online. 38.3 percent consider the use of AR and VR to be most useful for large furniture and decorative items, 17.6 percent for clothes and shoes, 14.2 percent for household appliances, 13.7 percent for consumer electronics, 8.5 percent for toys and baby supplies and 5.2 percent for bags and accessories. The furnishing sector holds the greatest potential. When asked why they do not buy decorative items or furniture online, 47.6 percent of the study participants answered that they wanted to see the items personally. 27.7 percent could not see the quality of the product on the photo. 13.4 percent were not sure whether the item would fit into their home. There are many innovations on the market that are often praised in the media as the new trends of tomorrow. All too often, however, one-off campaigns and prototypes remain the order of the day. We talked to the toy manufacturer Lego to find out which current, lasting trends are emerging and what is being worked on. How do you react to the changed customer requirements in the course of Shopping 4.0? Lego Group: We are intensively dealing with various questions around today’s buying behaviour and the wishes of our consumers in order to optimally take into account the changing demands on the shopping experience in our digital age. For example, we see a shift towards buying on the Internet – on the e-commerce platforms we reach our customers with an upward trend. We are therefore working, for example, on optimizing our customers’ online shopping experience in order to make it more individual and direct. At the same time, we are noticing that consumer expectations of stationary retailers are rising. This continues to play a very important role for us, because here we can present our brand in a unique way and offer our customers an exciting shopping experience. Our stores are also an important point of contact between Lego and our consumers. Master builders of all ages can experience a very special play and shopping experience with all their senses and immerse themselves in the Lego world. In some of our stores we have an “AR kiosk”. The app allows customers to see what a Lego Set looks like when assembled simply by holding a Lego Set package in front of the installation. Together with Kabooki you recently launched a streetwear collection and presented it with the help of AR. What other AR innovations can we expect from Lego? We are continually developing our range to create fun games for children that support the development of key skills while keeping up with the times. This includes combining the physical Lego construction experience with digital gaming fun, because the ongoing digitalization is also increasingly blurring the boundaries between online and offline gaming. Today’s children don’t play either digitally or physically – for them, the physical building experience, the digital game world and their imagination merge into a flowing gaming experience. We call this Fluid Play. This year, we have many new products in our range that combine building with Lego bricks and digital play, and with the combination of real and virtual play worlds meet the play needs of children growing up today. In late summer this year, we will also be launching a world first that will bring the physical and virtual play worlds of children even closer together. 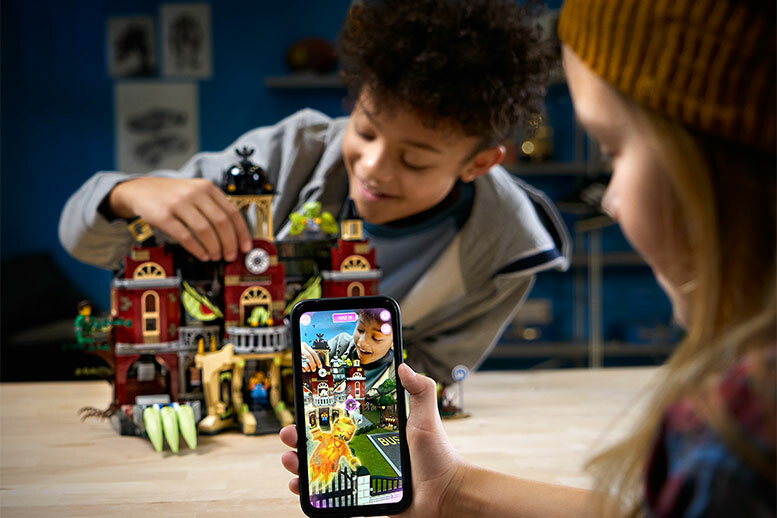 The new Lego Hidden Side product line combines Lego sets with a complementary AR app, opening up a whole new interactive gaming world for children aged seven and over, where they play with one hand in the physical world and with the other hand in the digital world. With the free AR app, the physical Lego sets can be scanned. A paranormal world is created on the smartphone or tablet touch screen, where children can go on a ghost hunt. The Lego Hidden Side kits are specially designed for the AR experience. They have small hiding places, rotary switches and other interaction points that can be physically activated and affect the play in the AR app. For example, new virtual ghosts and game scenarios can be unlocked. Such a profound, and in both worlds anchored, reciprocal Fluid-Play gaming experience does not yet exist. 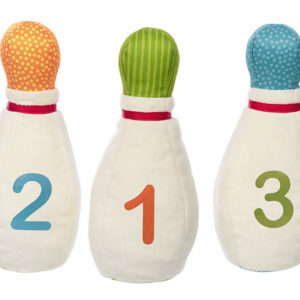 Sustainability also continues to play an important role for customers. How do you use technical innovations to advance your sustainability efforts? Our mission is to inspire and encourage the “builders of tomorrow” through creative play and learning. As a Lego Group, we are aware of our corporate responsibility towards society and the environment. Therefore, as part of our corporate mission, we are committed to contributing to the protection of the planet for future generations. We want children to inherit a healthy planet and have the ambition to contribute by making a positive impact through our environmental actions. Sustainability is therefore an important issue for the Lego Group. In our research centre, the “Lego Sustainable Materials Centre” in Billund, more than 100 specialists are working on the research and use of sustainable alternatives to current materials. By reducing packaging sizes and introducing FSC-certified packaging, we have already taken important steps to reduce our environmental footprint. We are also committed to using sustainably produced plastic for our core product lines and packaging by 2030. Last year, we reached a first important milestone in our mission and introduced the first Lego elements made of vegetable plastic – leaves, bushes and trees. We are very proud of this. The new sustainable Lego elements are made of polyethylene, a soft, durable and flexible sugar cane-based plastic. They are included in the Lego Creator Expert Vestas wind turbine, which has been available since November 2018.